Every once in a while, one of our shipments goes on a while ride far away from where it should have been destined. This seems to be some mis-routing by the USPS. Once a package gets severely mis-routed, it usually disappears and never returns. The frequency of these mis-routings seems to has increased in the last year, and the one we discovered today is the worst. It departed our shippers on February 27th destined for Canada. 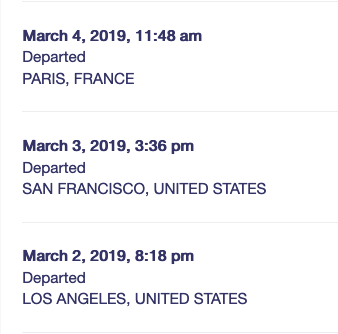 From the shippers, it made its way to to Los Angeles, and then San Francisco, and then, um, Paris France. Apparently someone figured out the mistake because it came back to first Jamaica, NY, and then Newark, NJ. But then, for some reason, it went back to France where it arrived yesterday. After 6 weeks of travel (packages normally take a week or less to Canada), and two visits to France, this one takes the cake. I can’t wait to see where it goes next. The moral of this story is, if your package seems inordinately delayed, please contact us. If we determine it is unlikely to arrive in a timely fashion, or at all, we’ll send another package. Well the Postal Service in the US and France must be very proud of themselves. Somehow they delivered this to someone in France. 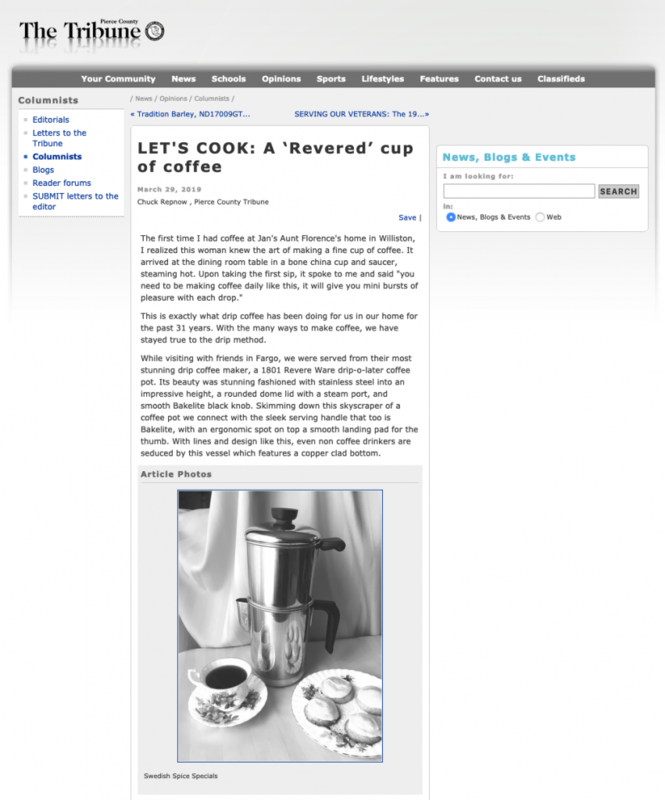 Here is a very nice homage to the Revere Ware Dripolator coffee maker. It is amazing how much Revere Ware has added to our cultural heritage over the years.